Serving innocent accident victims and their families throughout Hillsborough County and the surrounding areas from our law office in Brandon, Florida, the attorneys at The Florida Law Group are committed to helping you obtain the justice you seek for the injuries and losses you incurred as the result of someone else's negligent, careless or unlawful actions. 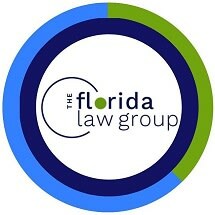 Originally established in 1984 in Tampa, our law firm has grown to include six total offices throughout the area, each providing convenient access to the highest level of advocacy and support possible to those adversely affected by motor vehicle accidents, nursing home abuse, medical malpractice, defective products, dangerous property conditions and other preventable tragedies. We have on our staff a team of lawyers certified as civil trial specialists, and we possess the extensive knowledge and resources necessary to help you secure the full amount of compensation regardless of how complex your situation. Through our dedication to those we serve, we have recovered millions of dollars in settlements and awards, and The Florida Law Group has received widespread recognition as one of the leading personal injury practices in the state. You do not have to suffer through your difficult and uncertain time alone. However, you need to act quickly to establish your claim in order to increase your chances for success. To discuss your situation with no risk, you can contact our law office to schedule a free initial consultation.